As your project gets larger and larger, a build step becomes increasingly useful—even when using interpreted languages. 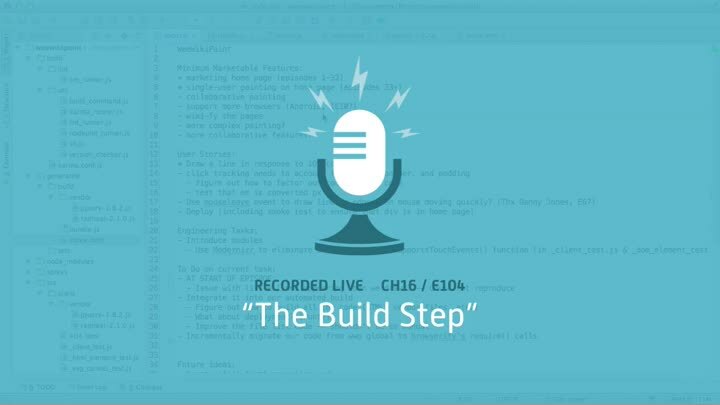 In this episode, we use our smoke tests to test-drive our build step. We run into some problems with Jake’s file utilities, but in the process, we improve our smoke test failure messages as well.